Eyepieces are the part you look through and are responsible for magnification of the objects you see through the telescope. They come in many different magnifications and types, but it’s not rocket science. 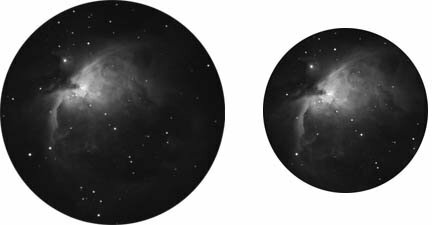 You will soon learn what works well for seeing different astronomical objects. 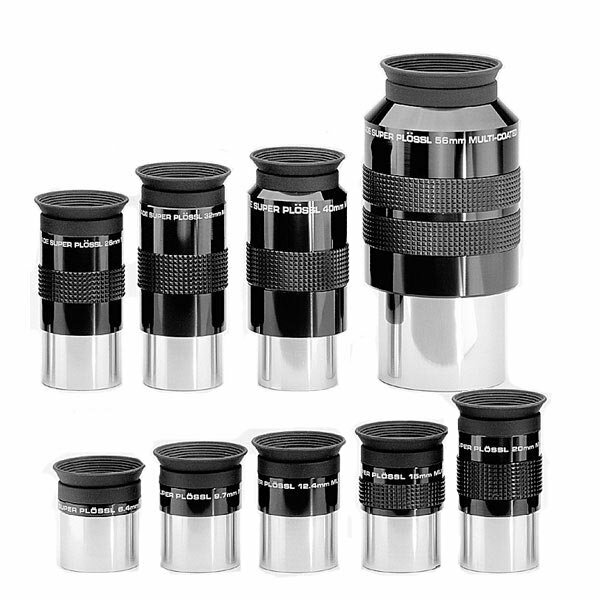 Telescope eyepieces are designed to fit into the focuser of the telescope. Depending on your telescope, they come in two sizes 1.25” or 2” and there is .965” which is an older size and pretty much obsolete, unless you have an old telescope. Most telescopes can be fitted with adapters so both sizes can be used. Eye relief is the distance from the last surface of an eyepiece at which the eye can obtain the full viewing angle. If a viewer’s eye is outside this distance, a reduced field of view will be obtained and viewing the image can be difficult. Generally longer eye relief is preferred. The different types are purely governed by the configuration of the glass and lenses inside the eyepiece. Some giving exceptional eye relief, wide fields of view, colour correction etc. Some different brands include: Huygens, Ramsden, Kellner, Plössl, Orthoscopic and Kellner. 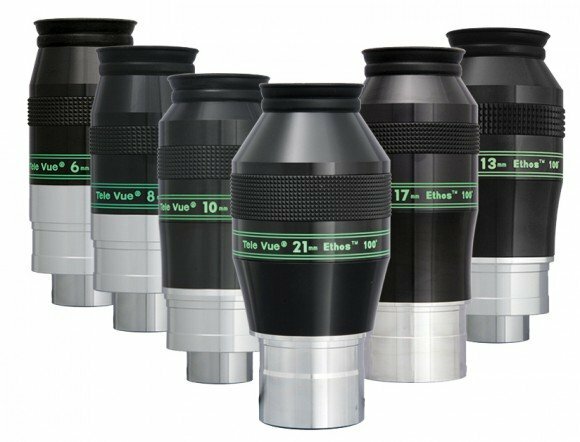 Eyepieces are the most important part of your observing equipment, choose them and use them well, which will help you enjoy observing through your telescope. 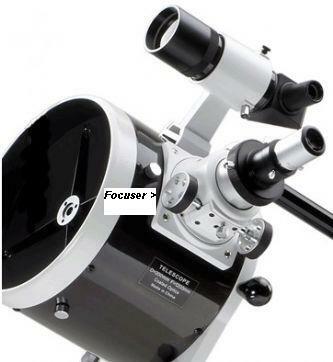 Please view the different types and sizes of eyepiece in the Meteorwatch Store.